Struggling to be more positive? Gratitude is an emotion that comes from appreciation. It’s an awareness, a thankfulness of the good things in your life, in you and in the world around you. Gratitude is a powerful thing. It can turn any negative into a positive. It can change how you feel inside. It can bring hope and happiness. It can improve your health, your relationships, your career and so much more. Practicing gratitude changes your perspective on life. In this guided journal, you will learn how to practice gratitude and how you can benefit from this practice every day. 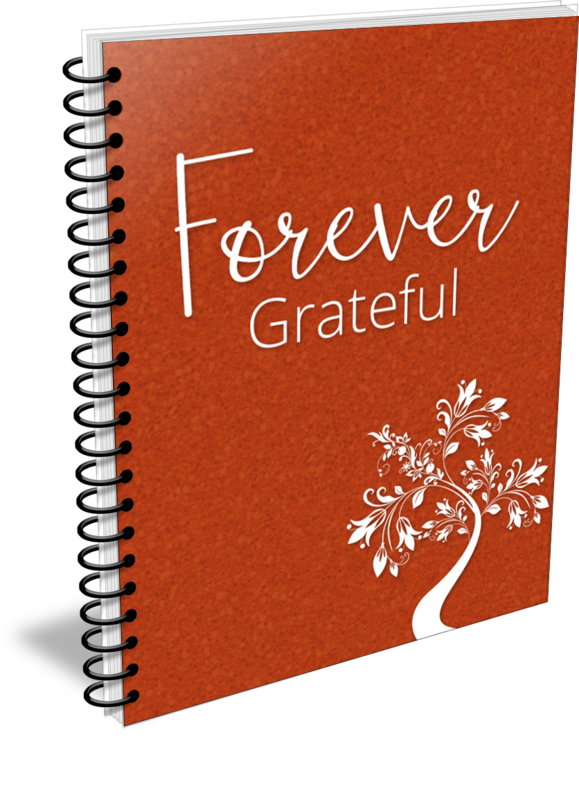 Claim Your "Forever Grateful" journal now! If you are ready to start reaching your goals, then get signed up right now - and you're going to get your journal right away!